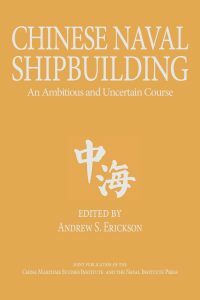 Chinese Naval Shipbuilding Capability: An Uncertain Course, adds the most recent volume to Dr. Andrew Erickson’s excellent edited collections on the increase of the People’s Republic’s military, economic, and industrial power published by the Naval Institute Press. Erickson’s credentials include a professorship in strategy at the Naval War College, a research associateship at Harvard’s Fairbank School for Chinese Studies, and a regular congressional witness on areas pertaining to Chinese capabilities and strategy. He is a giant in the field. The work combines seventeen articles written by thirty-two authors, among them storied names such as CRS naval analyst Ronald O’Rourke and former former Director of Intelligence and Information Operations (N2) for U.S. Pacific Fleet CAPT James Fanell (ret). The volume provides a nuanced and insightful view of a major Chinese strategic investment, its shipbuilding industry, and is required reading for anyone, academic or laymen, trying to understand the associated capabilities and implications of the People’s Republic’s maritime rise. Fourth, the work also provides an excellent overview of the curious public-private nature of an industry. 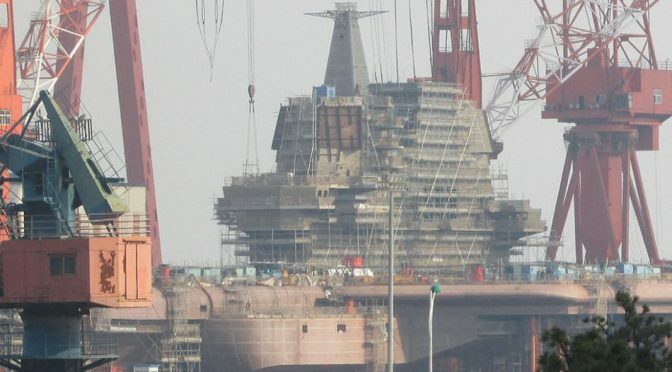 The ten-year old split of Chinese shipbuilding into competitive public-private corporations Chinese State Shipbuilding Company (CSSC) and Chinese Industrial Shipbuilding Company (CSIC), induced formidable challenges to reintegrate as demand for commercial Chinese-built shipping demand drops and the People’s Republic attempts to cut excess overhead in its public ventures. The work also appropriately conveys the confusing and byzantine structure of the Chinese military-industrial complex, broken into multiple institutes and directorates with potentially overlapping responsibilities. The edition could have improved by better integration between authors. Several articles re-visit the growth of PLAN naval strategy over the PRC’s history, which becomes redundant. Secondly, in some cases, it is difficult at times to compare Chinese shipbuilding structure and practices to those of other industries worldwide. Is China’s anticipated post-merger structure in line with other shipbuilding industries? The work does not, at times, draw clear comparisons. Michael DeBoer is a U.S. naval officer. The views herein are his alone and do not represent the views of the Department of Defense, the Department of the Navy, or any other organization.